Science Fair is the second release from Spare the Rock Records; its first release, Many Hands: Family Music for Haiti, was in support of Haitian earthquake relief efforts. This album is focused on science, and specifically on supporting girls' interest in science and engineering fields. The eighteen tracks are each from a different performer or group and are all new and exclusive to this album. The all-female line-up of performers includes Laura Viers, Mates of State, Frances England, and the 10-year-old hip-hop artist MC Firework. $3 from each sale will be donated to Girls Inc., which supports girl's science and education programs. 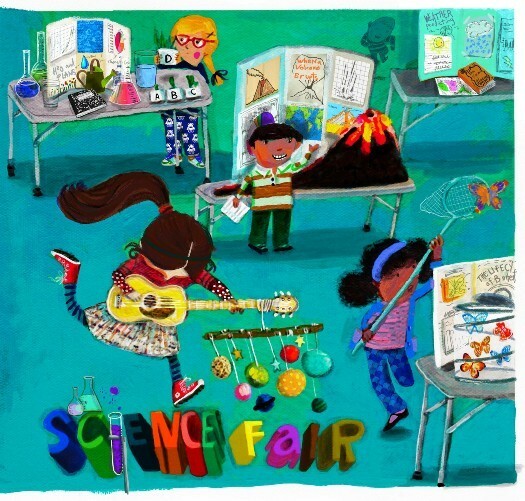 Notes for Parents: The music on Science Fair was written for school-aged children and it is suitable for all ages. A number of the songs are specifically girl-empowering, while other tracks are more about general interest in science and having a questioning nature. 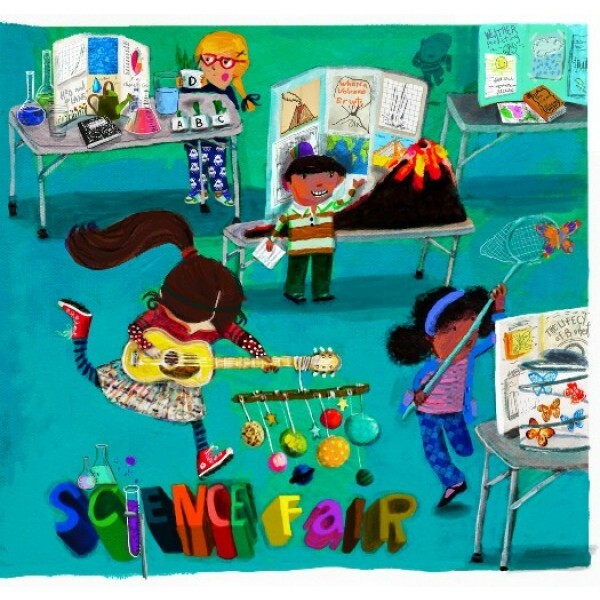 The video below is for Mates of State's track "I Am a Scientist"; in it, a girl who dreams of being a scientist goes to school in a white lab coat, eager to present her science fair idea, only to be mocked by her classmates. In the end, though, she goes on to prove her idea and amaze her peers.